I wonder what it’s like to be “the Man”. It’s an experience that most of us never experienced. It begins in high school when cliques begin to form and popularity is the difference between heaven and hell. For the Man it was nothing but heaven. Everyone adored you and tried to get near you in the hopes that your popularity will somehow rub off onto them. It continues on in college. Everyone knows your name and expects great achievement from you. It must be a heady feeling as you leave college for the NFL and take the league by storm, carving out a hall of fame career. It must be amazing to be surrounded by the most talented athletes in the world and for them to honor you as being even a step above them. Is it so heady that a person can’t live without it? That’s what I find myself wondering as I contemplate the death of Junior Seau. Seau committed suicide earlier this week. He chose to end his life after 43 years with shot from a revolver to the chest. I find myself compelled to make sense out of a senseless situation. Seau was a 12-time pro bowler for the San Diego Chargers before spending time later in his career with the Dolphins and Patriots. People forget just how good Seau was. Before Ray Lewis came along Seau was the best middle linebacker that many of us had ever seen. He was one of the top 5 defensive players to put on a uniform in the 90’s and will almost certainly be inducted into the hall of fame on the first ballot when he becomes eligible in 2015. Seau isn’t the first former NFL player to end his life in this manner. 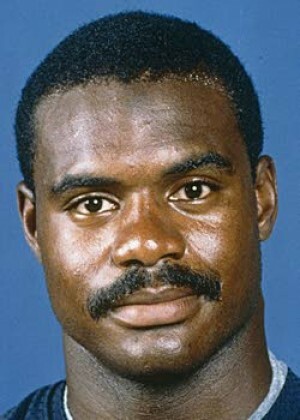 Dave Duerson, a former defensive back for the Chicago Bears, ended his life with a gunshot to the chest in February of 2011. Duerson was 50 years old. The choice of a chest is telling here. One would think that a shot into the mouth, through the brain would be the most effective and most certain to succeed. Duerson chose the chest because he wanted his brain to be preserved so that it could be examined at the Boston University School of Medicine which is conducting research into the impact of brain injuries suffered while playing professional football. It is apparent that Duerson believed that his states of depression and suicidal conclusion were driven by physical injuries to his brain suffered while playing football. Duerson’s gesture was not in vain. All sports fans have become aware of the way that the major sports leagues have started to take concussions much more seriously. While fans of Justin Morneau and Sydney Crosby have been frustrated to see them sidelined by concussions I think that everyone feels that it is better for them to miss time or even retire rather than to subject themselves to Dave Duerson’s fate for nothing more than the sake of a sport. It has been reported that Junior Seau did not leave a suicide note but it grabbed my attention when I found out that it was a chest wound. I wonder if Junior suspected that his feelings were driven by his own injuries and wanted to give scientists the opportunity to conduct further research. While there is no record of concussions in Seau’s career many NFL players have come forward and admitted that concussions were not treated seriously in the past. It is possible that a tough guy like Seau suffered more than one concussion but never sought treatment for those injuries. Tough guy is the right description for Seau. I’ve heard multiple stories since his death about how he would hide his injuries. He would go so far as to be treated by private doctors, away from the team, during his playing career in order to avoid showing weakness to his teammates. He was always a leader, no matter where he went people knew they were playing with a future hall of famer. I think he thrived on that. The NFL is the ultimate tough guy sport and as a leader in that culture it appears that Seau took it to extremes. 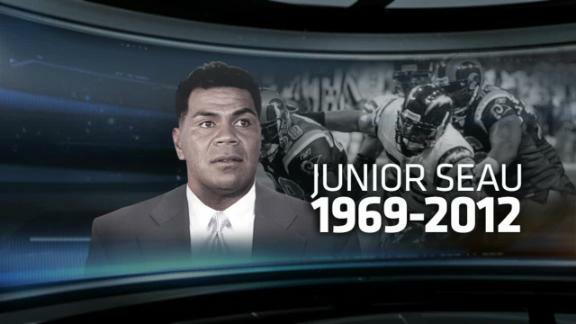 Junior Seau was the Man for the first 41 years of his life. He lived the life that millions of people have dreamed of living. In the last two years of his life this had changed. He no longer got to feel the rush that came from playing the game that he loved or receive the adulation of the millions of football fans around the world. Seau tasted retirement once before in 2006 when he signed a one day contract with the Chargers to retire with the team where he tasted his greatest success. That lasted 4 whole days before he signed on to play with the New England Patriots the same year. According to his Patriots teammates Seau was a tireless worker. I’ve heard reports that players were frustrated because they couldn’t keep up with Seau who would show up at 4:00AM and be the last to leave. What’s sad about this is that it doesn’t appear that he was able to get his tough guy, leader of the pack mentality as he transitioned to life away from football. It’s one thing to hide an injury during a football season. The risk is to your physical body and sometimes your career, but not your life. Depression is much more insidious. It’s inside of you, it sounds just like you, and it speaks with your voice. But it isn’t you. Depression says things like it will never get better, that you are alone, and that life isn’t worth living. People who hear that and feel it inside of their heart and soul are at great risk. They are fighting a terrible battle and don’t even know it. It’s so much easier to fight an external opponent. How do you fight back against your own voice? Many people can’t cope with it. I’ve said myself that the only reason that I escaped that voice as a young person was my greater fear of taking action. Oddly enough, it may be Seau’s courage and strength that gave him the ability to go through with this horrible act. He wasn’t paralyzed with fear. He was a man of action. He needed help; he needed to hear from people who had gone through things like this before. He needed people who could explain that the voice he was hearing was not his own, that it was doing nothing but telling lies. Anyone who has seen Marcellus Wiley’s reaction on ESPN after it was reported knows that Seau had people reaching out. But he didn’t know how to admit weakness; he didn’t know how to ask for help. Instead he put up a healthy façade while choosing to fight his battle the way that he always had, alone. Posted on May 5, 2012, in Real Life and tagged Boston University School of Medicine, Dave Duerson, Grieving, Inner Voice, Junior Seau, Justin Morneau, Marcellus Wiley, NFL, Suicide, Sydney Crosby, The Man. Bookmark the permalink. Leave a comment.